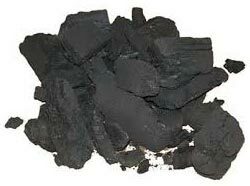 Coconut Shell Charcoal is widely used as domestic and industrial fuel. It is extensively used by goldsmiths, blacksmiths, in laundries etc. We are an experienced name, which is engaged in exporting and supplying Coconut Shell Charcoal. The final dispatch of our Coconut Shell Charcoal is done using those shipment modes that ensure its timely and prompt delivery. It can be obtained from us in small as well as bulk quantities.